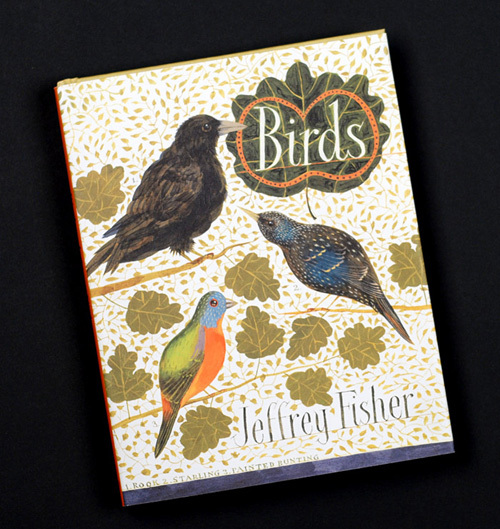 Jeffrey Fisher is an internationally known illustrator who currently lives in France. 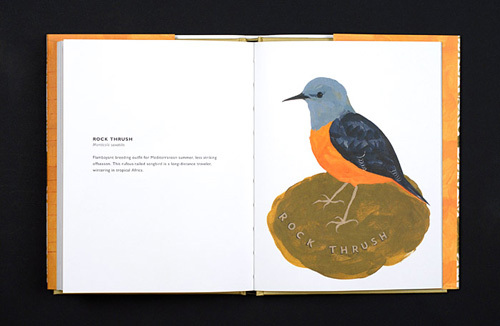 He has studied birds for a long time, and in his book 'Birds' you can find how beautifully he captured their colors, textures and their enchanting characters. 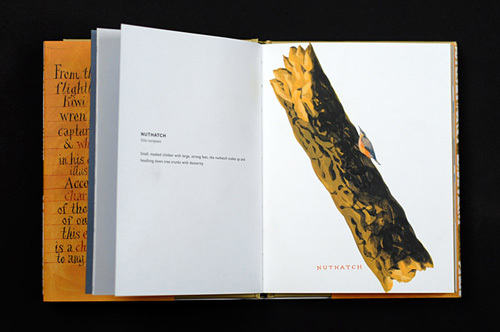 The book is a piece of art starting from it's very gorgeous hardcover featuring birds with a floral background. 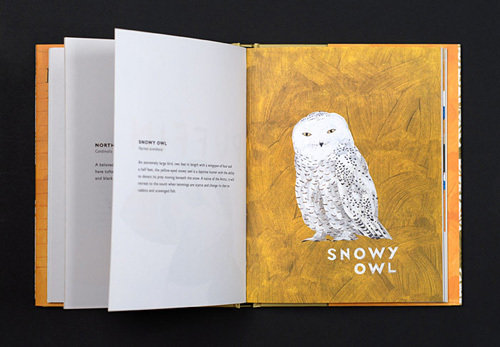 It consists of 46 bird species both rare and recognizable in delightful, hand-painted portraits. 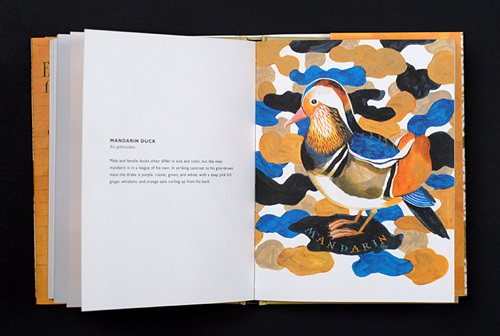 Each spread is dedicated to a different bird captured in Fisher's bold and colorful signature styled illustration paired with thoughtful musings on its history and lore. 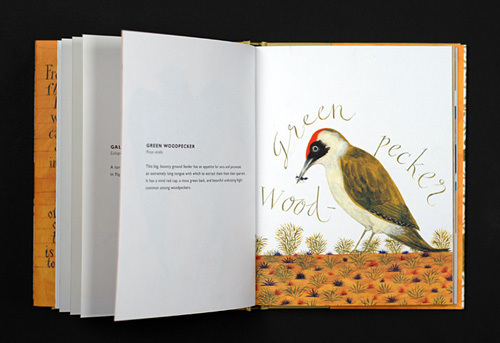 This book will make a great addition to any bird enthusiast's collection. 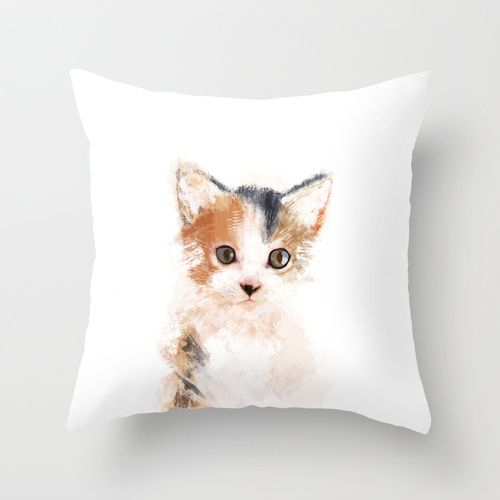 Buy it from here. 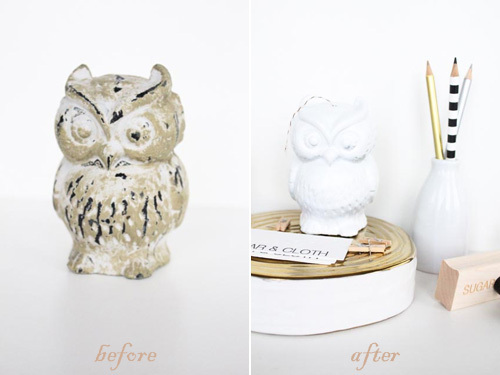 Ashley created this do-it-yourself project inspired by West Elm's string holder that I blogged sometime ago here. 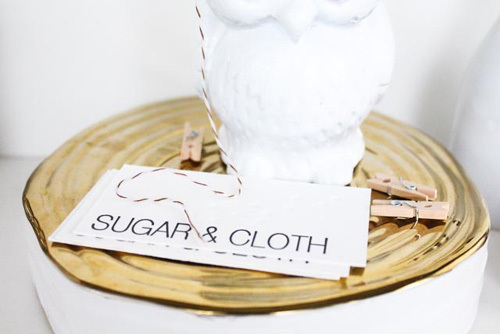 I love how this owl string holder can be created at a fraction of the cost, and still is so simple and easy to create in no time at all. 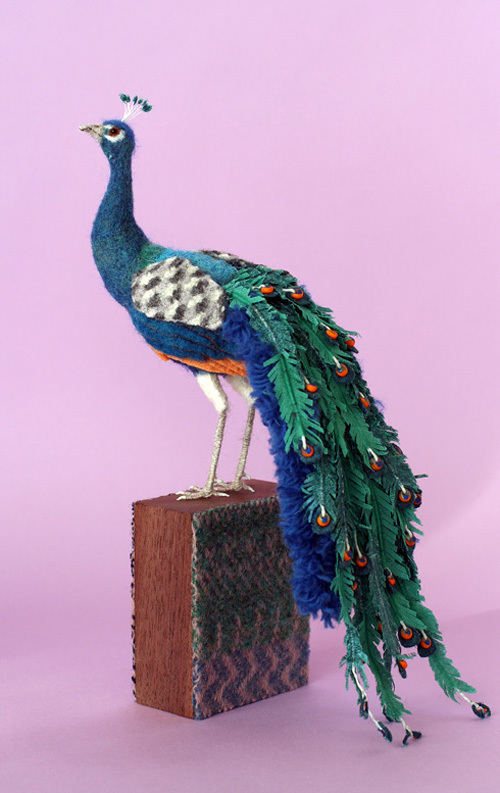 So, next time you forget to buy a gift for your crafter friend, you can handmade this at the last minute without spending too much time! 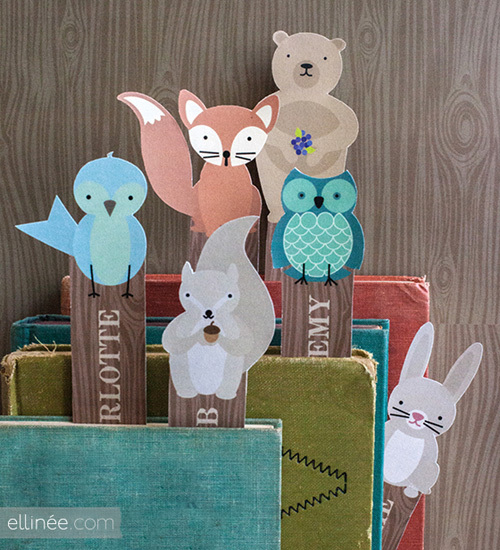 These adorable woodland creatures bookmarks can be downloaded by Lia's blog Ellinée. 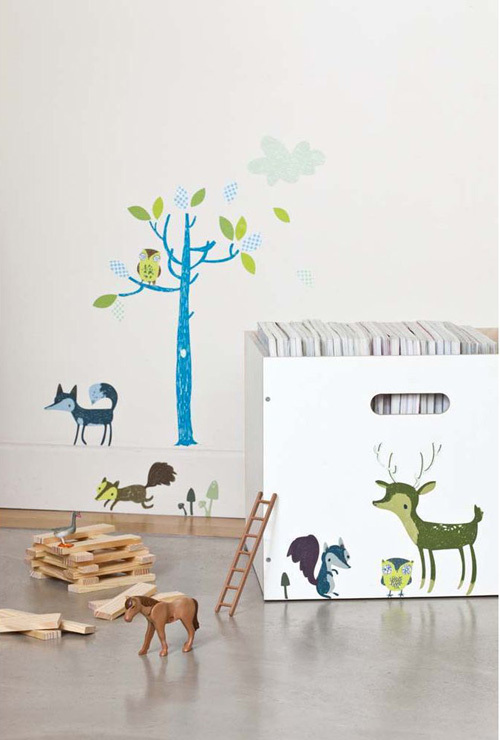 There are six designs - owl, bunny, bird, fox, squirrel and bear that'll be loved by both kids and kids at heart. 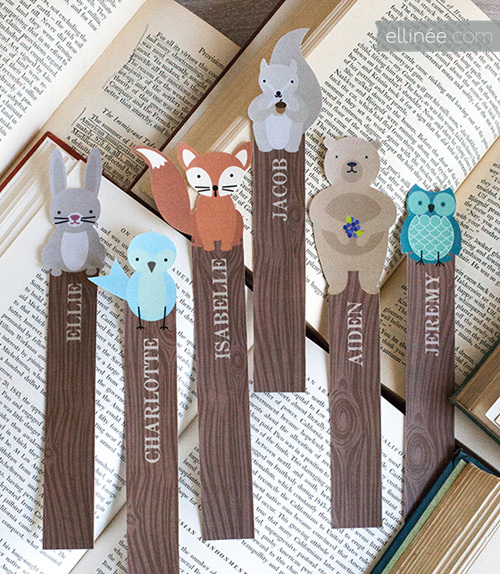 Not only are these free but they can be edited. 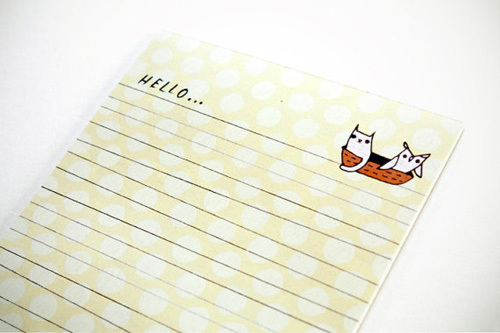 Simply open the downloaded file, type in the name and print! 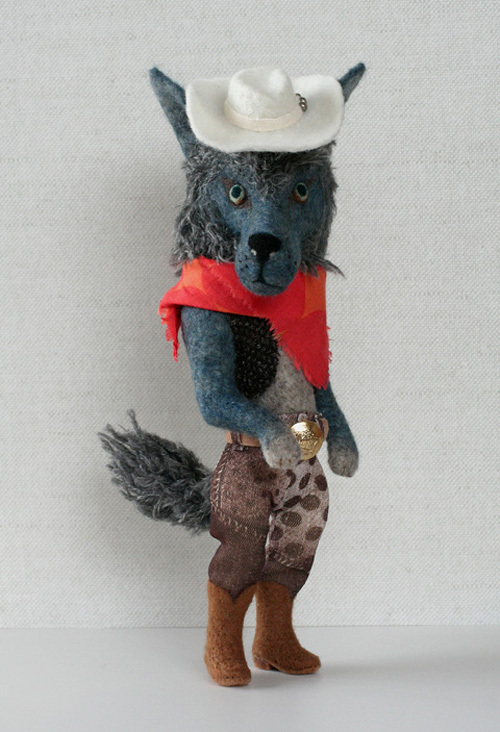 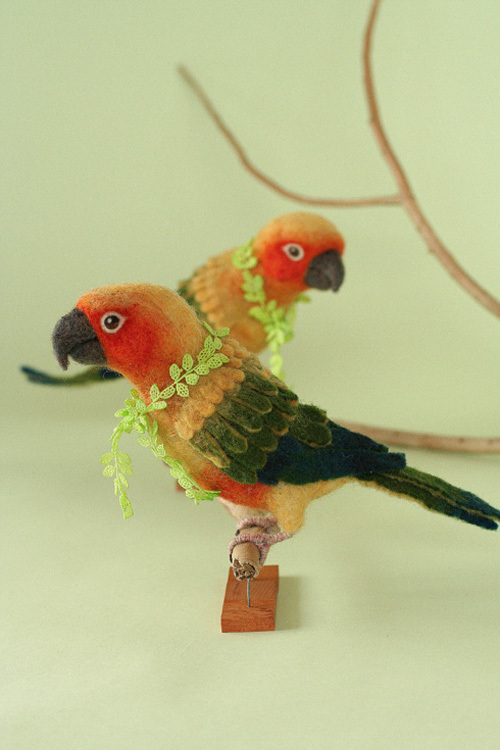 I am enamored with these gorgeous sculptures of animals and birds that are meticulously hand crafted using felt and fabric by a Japanese artist Yoomoo. 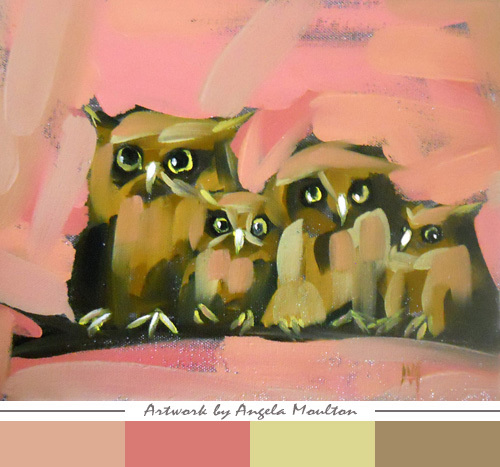 'Screech owl family on branch' by Angela Moulton. 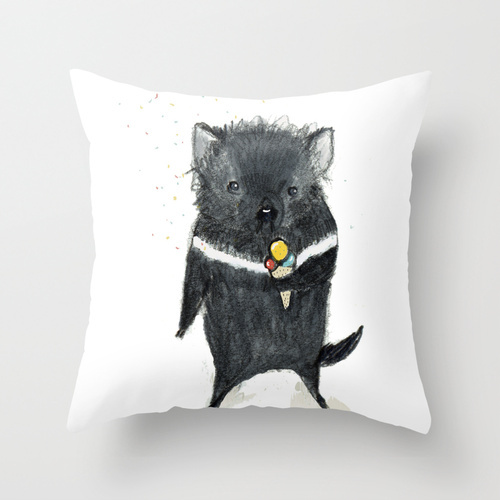 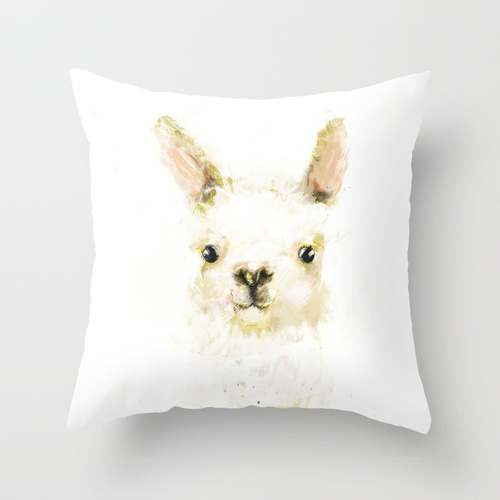 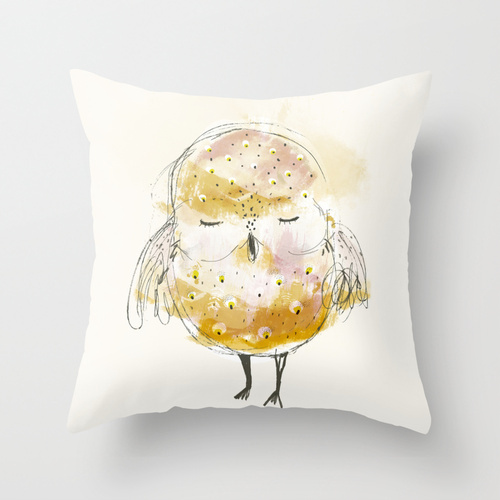 Holli also known as Paola Zakimi's cute illustrations can now be found on throw pillow covers on Society6. 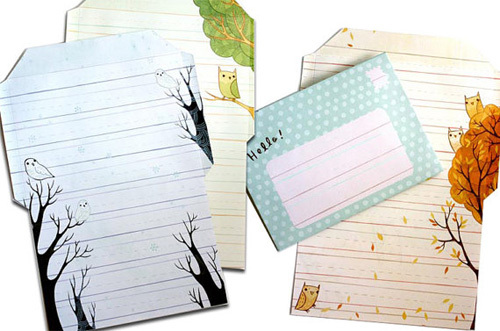 The covers are available in several lovely designs starting at only $20! 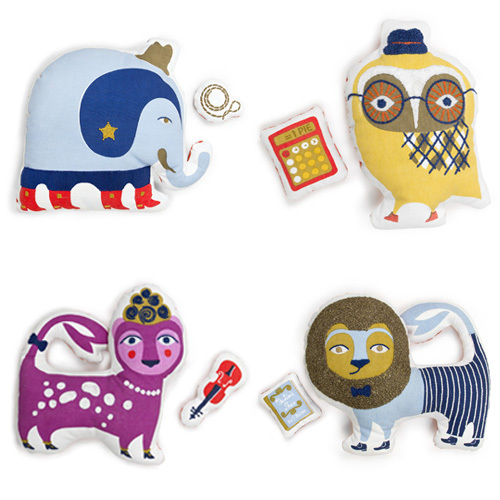 My favorite is the animal series that includes owl, cat, tasmanian, llama and more. 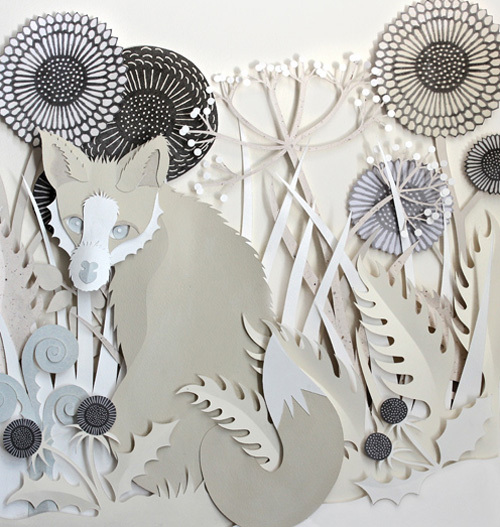 See more of her work that I blogged previously here. 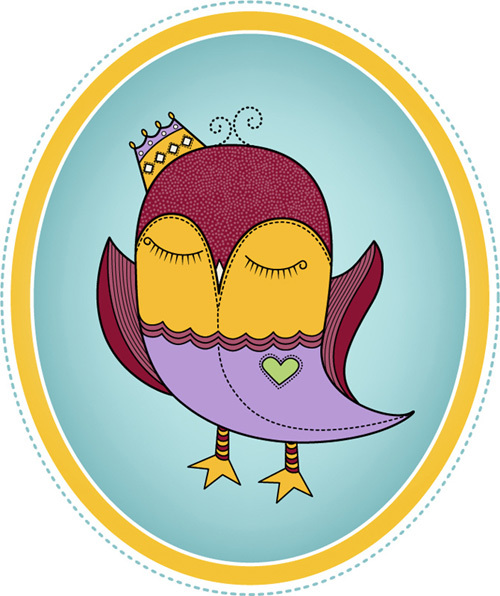 'Owl With Heart Eyes' is the latest collection of bags by Loungefly. 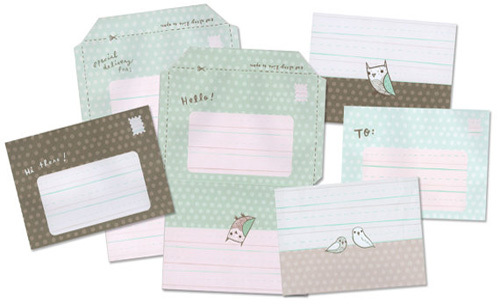 This cute range includes 'owl with heart eyes coin bag', 'owl with heart eyes crossbody bag' and 'owl with heart eyes wallet'. 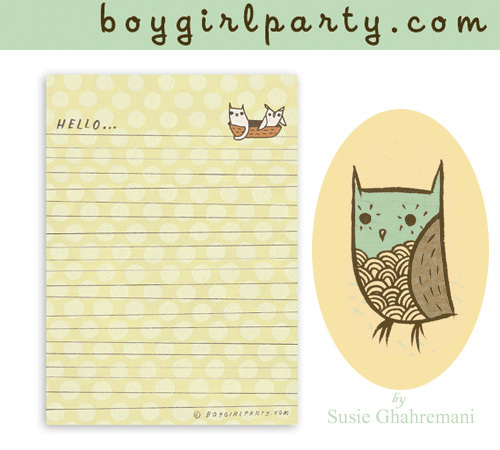 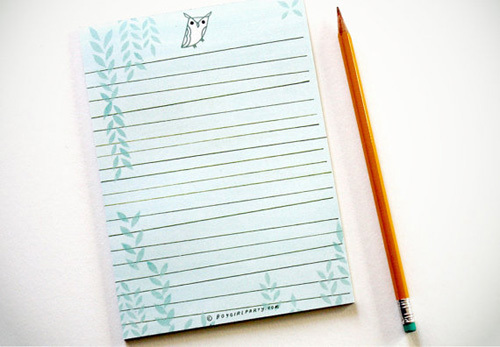 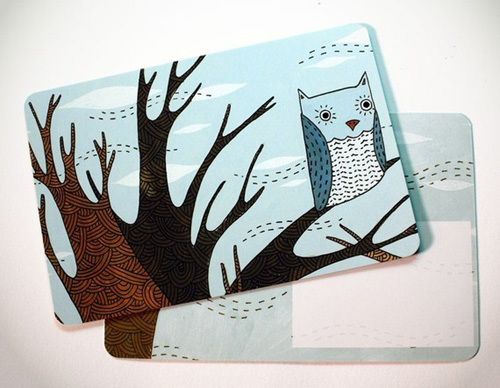 I adore these new 'Owl and the pussycat' letter pad, 'owl letter pad' and 'blue owl postcards' by the San Diego artist Susie Ghahremani aka Boygirlparty. 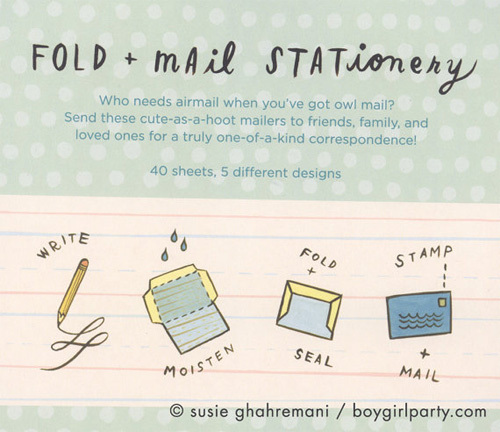 Don't they make you want to pick up a pen and start writing letters to your pals? 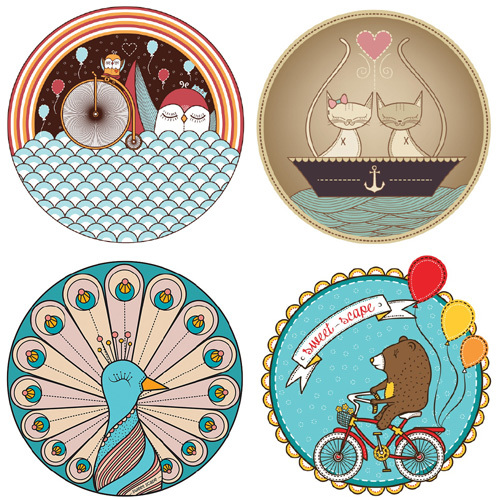 Camila Rosa is an illustrator and a designer based out of Joinville, Brasil. 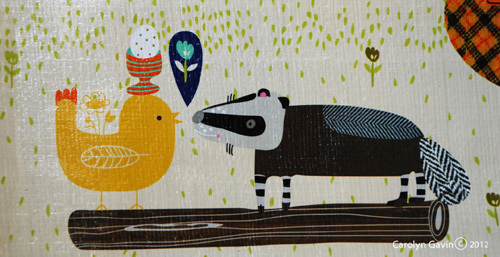 Her work is colorful and fun, the sweet graphics of animals seem to be right out of a children's story book. 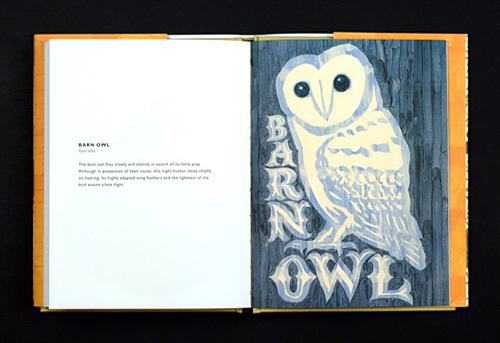 Visit her Flickr gallery to see more of her work. 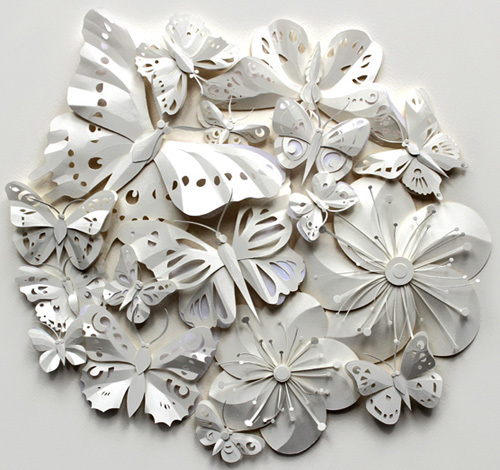 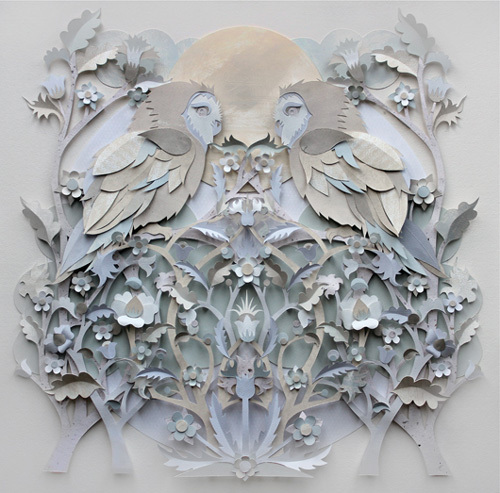 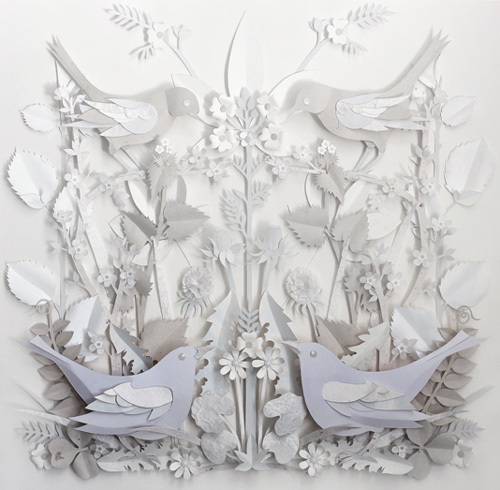 'The Ghosts' is a commissioned collection of paper cut artworks created by Helen Musselwhite for Chewton Glen Hotel's eco treehouses. 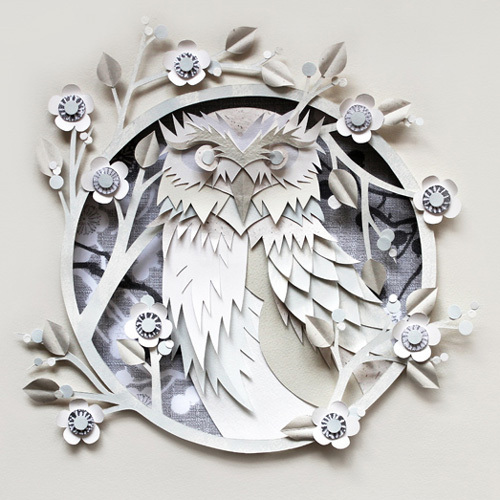 I have blogged about her amazing owls in the past here. 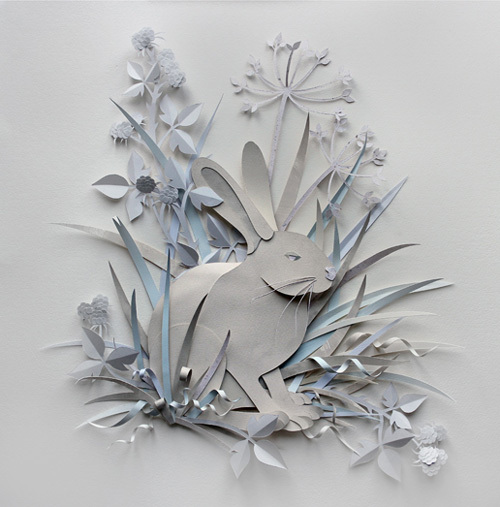 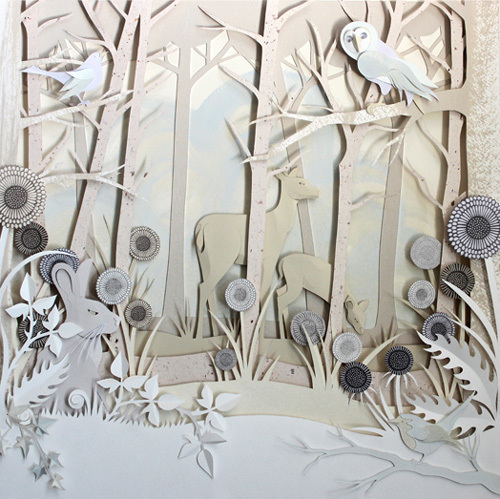 Her intricate work featuring woodland creatures and forest scenery with fairy tale elements still remain my favorite! 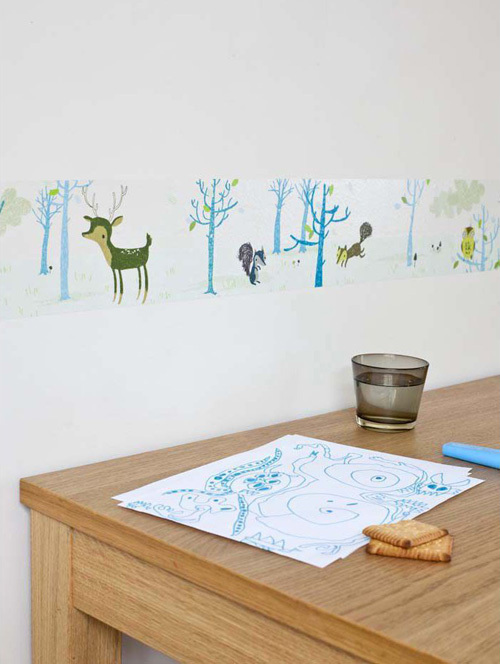 Abigail Brown designed the"La Foret Bleue' wall decal and adhesive wall border in collaboration with Poisson Bulle. 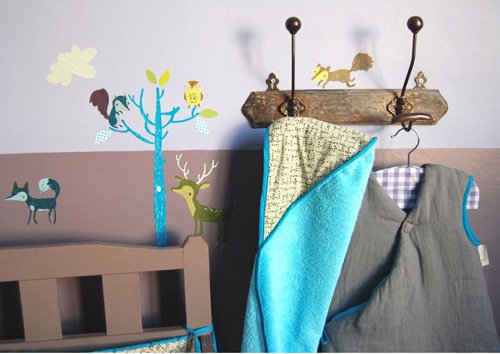 Poisson Bulle is a French brand that offers a wide range of beautiful decals and stickers for decorating kids' rooms designed by well-known illustrators from all over the Europe. 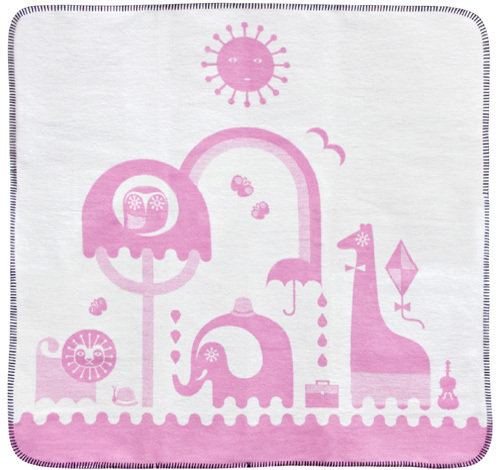 Visit their website for more products and to check if they ship'em to your country here. 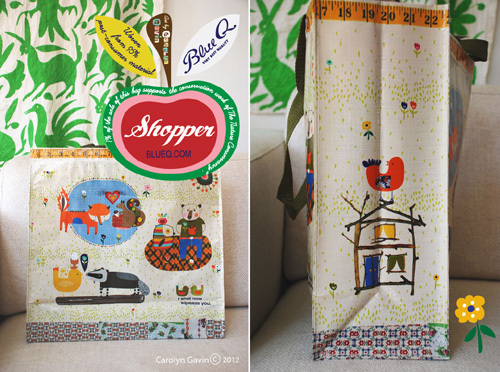 This insanely cute 'Squeeze You Shopper' tote is designed by Carolyn Gavin for Blue Q. 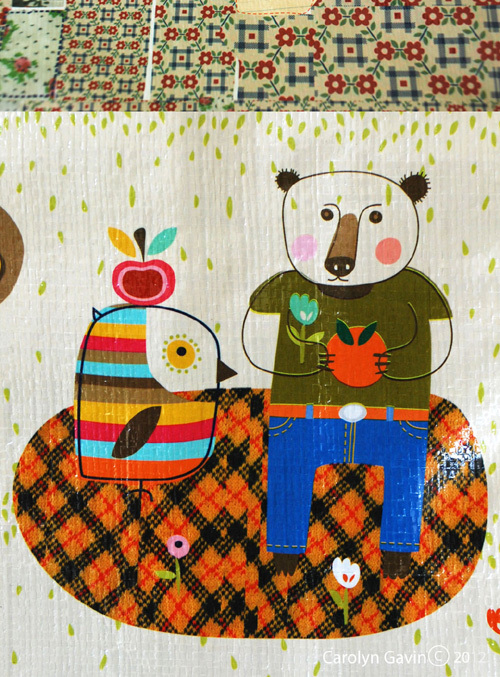 The bag features colorful floral background and graphics of animals in odd pairs of friends. 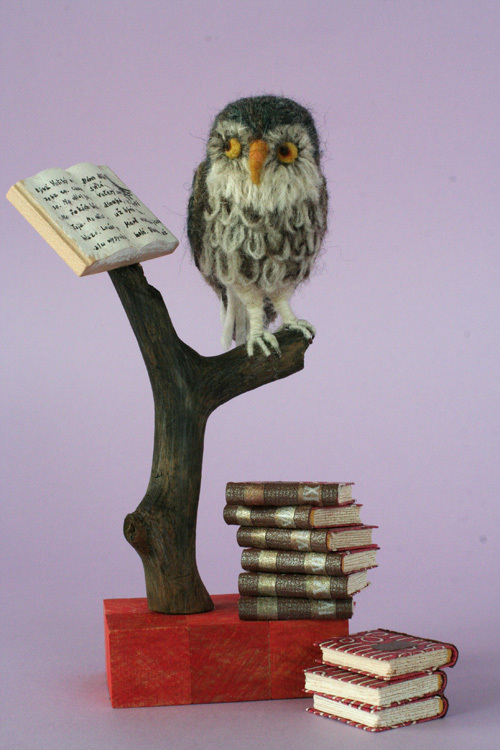 The words "I shall now squeeze you" are said by the Owl to the bear, the squirrel to the fox or the bird to the badger! 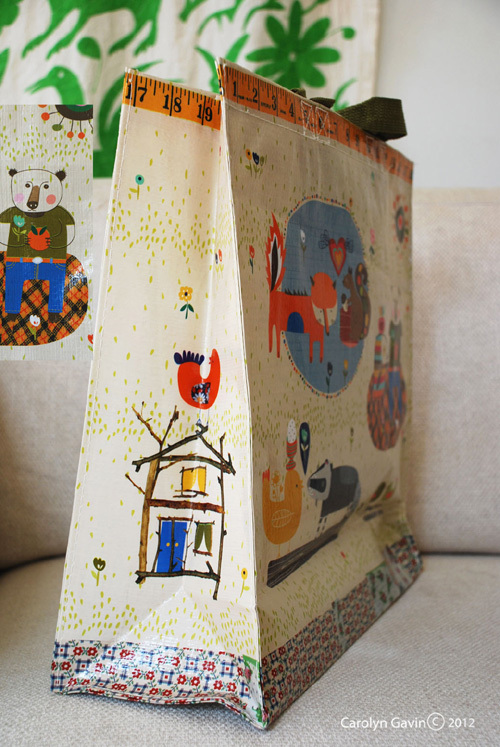 The bag is not only cute but is also convenient as it comes with the double duty handles and the sturdy shoulder-length strap. 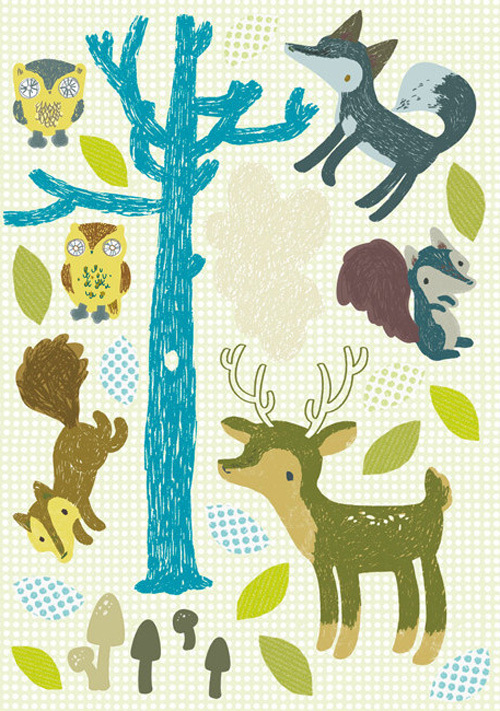 The design can be found on zipper pouch here. 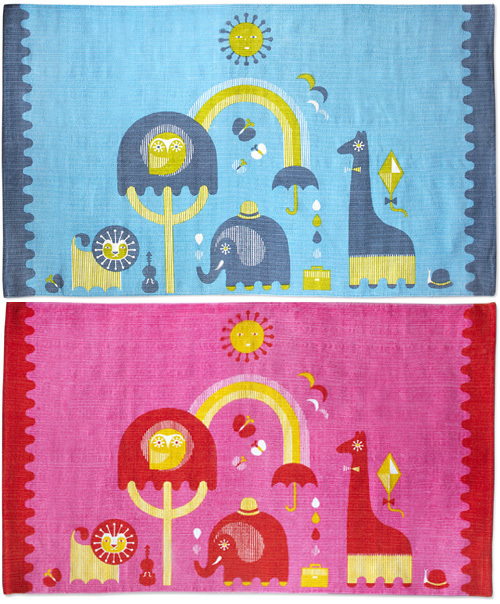 I have blogged about Jonathan Adler's quirky and fun products on several occasions in the past. 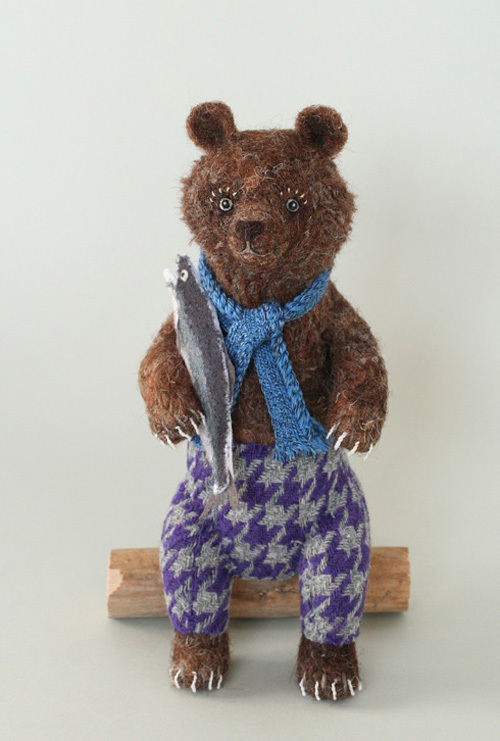 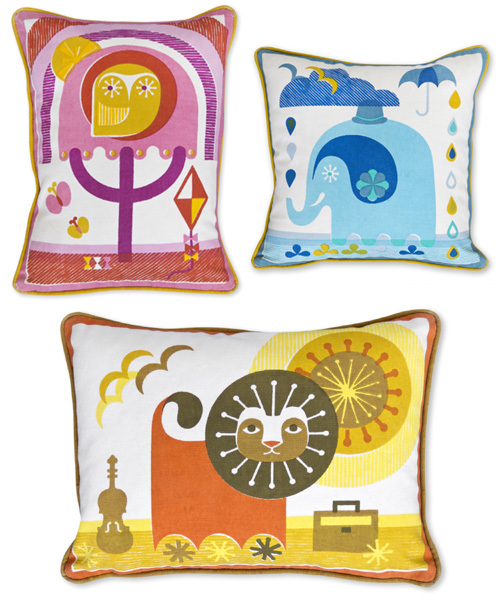 But I can't seem to get enough of the designer's whimsical products. 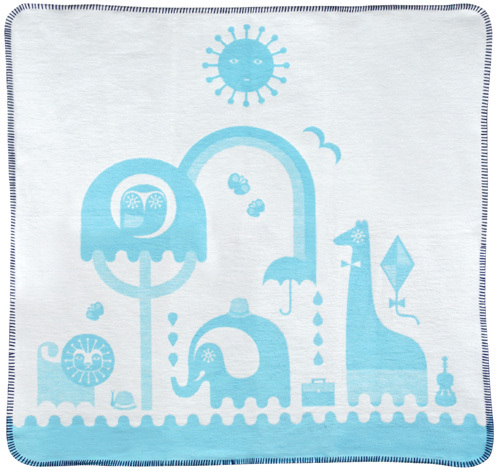 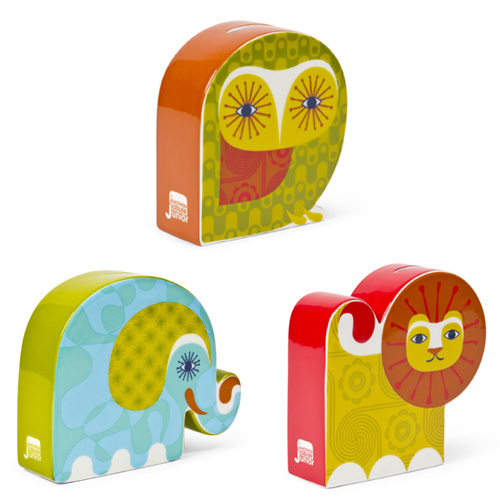 There is a whole new range of adorable products in the Jonathan Adler Junior collection. 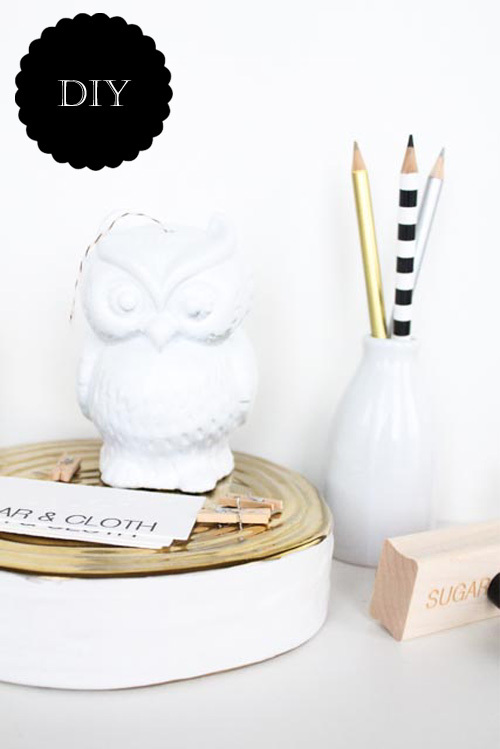 My favorite is that Owl money bank. 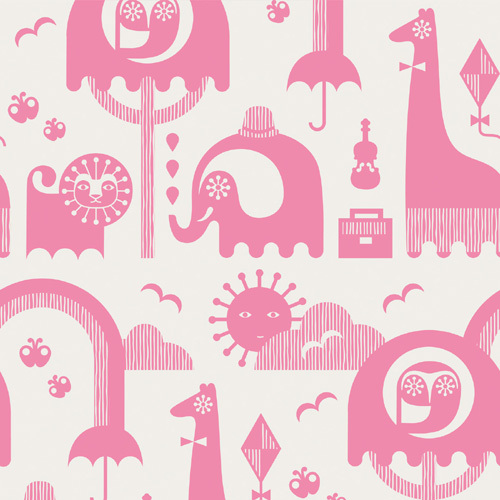 I love the retro style, patterned design and bright colors. 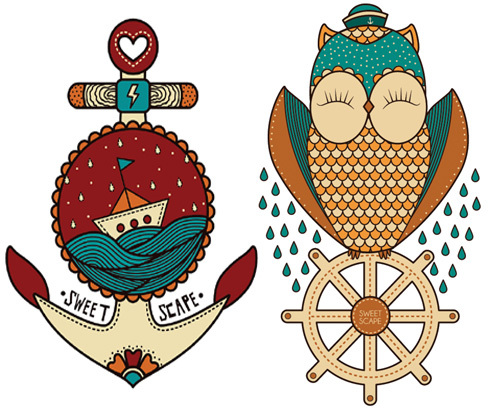 What's your favorite?